Growing up, in Montreal, his favourite player was Jean Béliveau. He only started playing hockey at the age of 13, and never dreamed of playing for the Canadiens: he didn’t think he was good enough. When he was invited to his first Montreal training camp, his dad had to browbeat him to go. He thought his chances of making the team were zero. 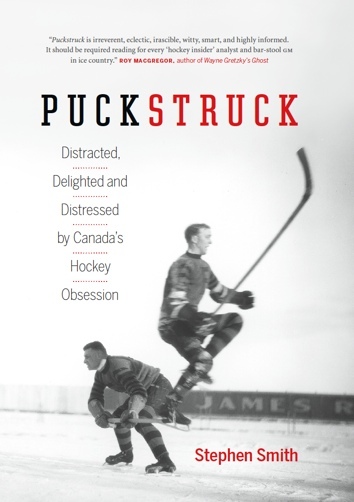 When he turned professional, he spoke not a word of English, according to the Hockey Hall of Fame. Teammates laughed at him, until he threw one of them over the boards. The first time he sat in the Montreal dressing room, getting ready to play his first game, he could hardly tie his skates, due to nerves and the excitement of looking at Béliveau across the way. His first year in the NHL, Montreal won the Stanley Cup. It was unbelievable. That’s what he said, not me. Also him: from the moment you’re a Hab, you learn about winning. You can’t accept even a single loss. He was a dominant force, says the Hall, and to be reckoned with. He was one of The Big Three, obviously, with Larry Robinson and Serge Savard. 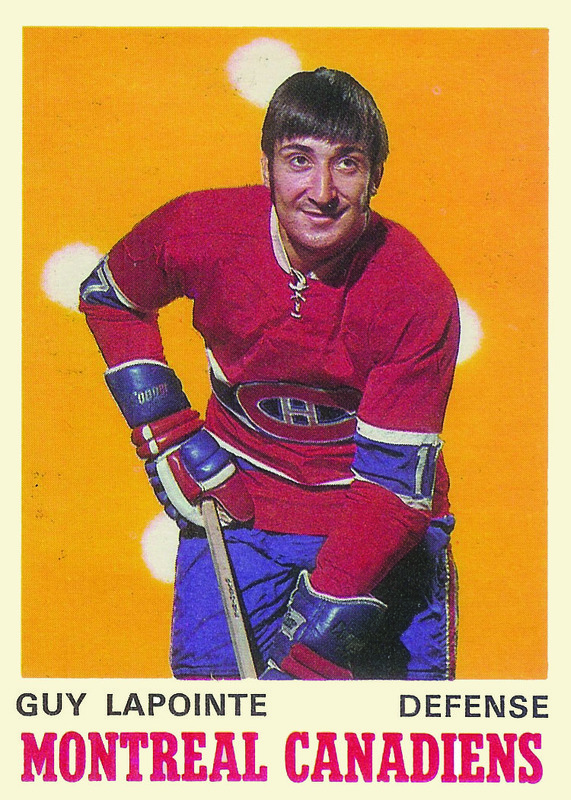 In 1973, just before the Canadiens won another Cup, he was the undisputed choice for the Conn Smythe Trophy, according to The Gazette in Montreal. Coach Scotty Bowman thought so, as did his counterpart from Chicago, Billy Reay. Lapointe was the one to pick the team up when they floundered, I guess, plus he was playing the powerplay and the penalty-kill and also scoring and, too, in the dressing room, he charged up his mates with some spicy invective. But then Yvan Cournoyer won the Smythe instead — Le Chinois. I don’t know what happened. … when the slate is clean and it is just him and the game, Pointu plays with the unrestrained joy of a boy on a river, uncomplicating the game for all of us. When things were going wrong on the 1970s Canadiens, he was often the one to call a team meeting. Goaltenders feared his slapshot: I’ve seen that said, though not with any names attached. When Andrew Podnieks says the shot was patented I think he’s means it figuratively; either way, it was low and hard. Zander Hollander’s Complete Handbook of Pro Hockey (1972) says the same thing, adding only that it stays near the ice. Oh, and that he’s two days older than Bobby Orr. A goal-potter, he was called at least once, in The Gazette. His other adjectives include: hang-dawg (his expression), prodigious (his nose), mysterious (the rash he suffered in 1979), 13-year (veteran), tremendous (his stamina), no-nonsense (his approach), pretty good (ballplayer), and solid (his checking). He was the Gallic answer to Orr and an ideal candidate for the riot squad (Tim Burke in 1971) not to mention one of the keys on the club (according to Larry Robinson in 1982). In 1977, when Cournoyer was captain, it was said that no-other Canadien commanded more respect from his teammates than Lapointe. Six were the Stanley Cups that he won. As often as not when you read about his career it’s words like shenanigans and hijinx that come up: he was a big practical joker. Dave Stubbs frames his whole tribute in today’s Gazette around the hilarity that Lapointe has instigated over the years, cutting holes in hats, sneaking a whistle onto the ice to undermine coaches at practice. He used to cut Dryden’s skatelaces 20 to 25 times a year which, let’s see, eight seasons they were teammates — that’s as many as 200 times in the 1970s the goaltenders laces ended up shredded. They got better, I guess — unless Lapointe got nasty. One way or the other, he coached Longueuil to a Memorial Cup win in 1987.